Malta's new coach Mark Marlow sees competitive action for the first time when the Mediterranean nation hosts UEFA Futsal EURO 2016 preliminary round Group E between 14 and 17 January. With his country facing England, Andorra and then Latvia at the Hibernians Pavilion in Paola, the 43-year-old gets an early opportunity to put his vision into practice following his appointment last October. The former Maltese Under-21 football international and Floriana FC player – and current sergeant in the Armed Forces of Malta – tells UEFA.com about his hopes for the mini-tournament and wider aspirations for futsal on the island. UEFA.com: How have your first months in the job been? Mark Marlow: I was already involved as assistant coach to Malta's then futsal head coach Michael Stritz between 2007 and 2009 – an unforgettable experience from which I learned a lot. And I want to thank the Malta Football Association for entrusting me with the job in October, when I immediately began preparations for the preliminary round. The last friendly international Malta had played was back in January 2014, against Gibraltar, so I urgently requested the MFA to arrange a couple of friendlies – as a result of which Serbia and Gibraltar came to Malta in December for the 4th Malta International Futsal Tournament. UEFA.com: Where you happy with Malta's performances during this event? Marlow: Serbia are ranked eighth in European futsal whereas Gibraltar, despite being ranked two places above Malta, are on the same wavelength. To be honest, despite winning 1-0 against Gibraltar, I was more pleased with the performance in the 4-1 defeat by Serbia. Winning against Gibraltar was important but our display against Serbia pleased me as we knew about Serbia's potential. My players responded to the plans I wanted to see realised on court. UEFA.com: Malta now start Group E against England – some test! Marlow: Yes, England have made great strides in futsal since we last saw them play here in a 2013 friendly, when we lost 2-0. The English FA has been investing wisely in the futsal sector, which shows they want to make bigger strides in the game. UEFA.com: What is Malta's main objective for this tournament? Marlow: Every coach goes into a tournament with an objective. The thing that worried me most was the festive season – not the best timing for everyone! But I assembled my 18-man squad with immediate effect on 2 January; as you know our players are amateurs but I am happy with the group and their commitment so far. UEFA.com: How would you like to see futsal improve in Malta? Marlow: I believe futsal should be introduced in club nurseries. Futsal can be the stepping stone to developing skills to reach the elite of professional football. Any youngsters then wishing to continue enjoying futsal would be the ideal solution. I myself turned to futsal on retiring from football – I would like it to be the opposite, that you start off in futsal and possibly scale up to football. The nucleus of futsal players in Malta is very limited. This is why I want youngsters introduced to futsal at a very early stage. We have to produce our own players. Coaching is another topic I am discussing with the MFA at present. As for the national team, I would like more frequent friendlies and a long-term plan. Having been UEFA Futsal EURO holders since 2005, Spain were expected to triumph again in Antwerp, but Italy captain Gabriel Lima ensured a different outcome. 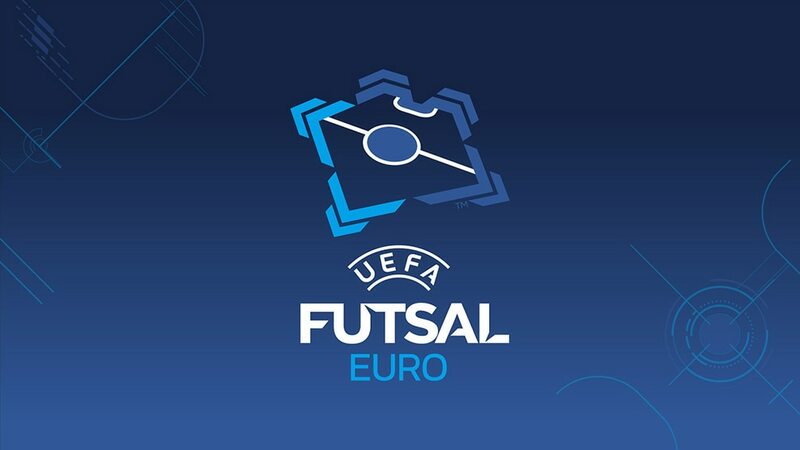 Italy, who in February won the UEFA European Futsal Championship for the second time, will begin their title defence in Poland following the preliminary and main round draws.